What Is a Rotor? How Is It Used? Manufacturers of laboratory centrifuges such as Sorvall, Beckman, and Eppendorf also manufacture rotors for their centrifuges. In laboratory centrifuges, the rotor acts as a rapidly rotating container, spinning at very high rates of speed. Centrifugal force is created during these spins, acting on the rotor and its contents to achieve various research purposes. There are three type of rotors: swinging-bucket rotors, fixed-angle rotors, and vertical rotors. Swinging-bucket and fixed-angle rotors are most often used in benchtop, low-speed, and high-speed floor-model centrifuges. Vertical rotors are frequently used in ultracentrifuges. 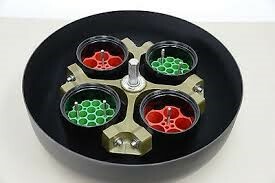 Swinging-bucket rotors are used to separate large-volume samples at low speeds, while fixed-angle rotors are used for basic pelleting differential separations. Vertical rotors are typically used for isopycnic separations, such as the banding of DNA in cesium chloride. How Can a Rotor Be Damaged? The rotor in a centrifuge can be damaged in several ways if it is not maintained properly. Some of the most common causes of rotor damage are improper handling, stress corrosion, missing paint and anodization, dropping the rotor, overheating, and running the rotor overspeed. Once a rotor is slightly damaged the centrifugal forces that are created during a run can exacerbate the problems. Therefore, over a period of time, even the smallest of flaws in a rotor can lead to more disastrous events such as a centrifuge mishap with a destroyed rotor and a destroyed centrifuge. How Can Rotor Damage Be Prevented? Rotor damage can be prevented if you follow several basic rotor care guidelines. One of the most important things you can do to prevent rotor damage is to rinse the rotor with water or a solution suggested by the manufacturer after each use to remove any residual samples or debris. You may also use a mild soap with a soft brush. After rinsing the rotor you should always let it thoroughly dry before using it again. If you work with infectious agents you should also disinfect the rotor after each use. When working with infectious agents you should also sterilize the rotor using autoclaving or UV exposure to kill the infectious agents. There are several smaller parts within the rotor that also need to be cared for such as O-rings, lid threads, and locking mechanisms. O-rings should be dried and relubricated every time you wash or disinfect the rotor. To prevent lid threads from becoming damaged you should clean the threads with a soft, lint-free cloth. This helps prevent the buildup of debris, as well as ensures that the locking mechanisms will not be damaged. 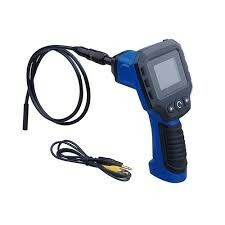 Should I Regularly Schedule a Rotor Inspection? Regularly conducting rotor inspections by a trained technician is an important part of preventing damage to the rotor and increasing the rotor’s life span. 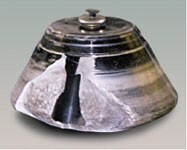 As a rotor is used over time it will begin to show signs of damage. 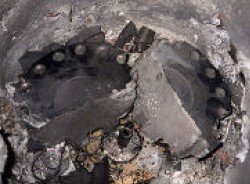 This is when an inspection becomes necessary to prevent further damage to the rotor. During an inspection the technician will be able to determine the best way to prevent further damage to the rotor if there is any, as well as prevent damage from occurring by examining the rotor for any signs of stress corrosion, metal fatigue, and wear or damage to the anodized coatings. A technician will also be able to tell you if the rotor is safe for continued use, should be further repaired, or if it should be replaced. With careful care and regularly scheduled inspection, the rotor of a centrifuge can last for several years, allowing you to perform your work with ease.